Russia on "atmosphere of cold war"
The spokesman for President Vladimir Putin tells CBS News that there is "an atmosphere of Cold War" between Russia and the West, but he says the United States is to blame for taking "not a peaceful approach" in its defense of NATO allies. Dmitry Peskov sat down with CBS News correspondent Elizabeth Palmer on Wednesday for an hour-long interview that touched on everything from FBI Director James Comey's sudden firing to Russia's alleged interference in elections from the U.S. to Germany. Palmer asked Peskov whether the two global powers were edging toward a new Cold War, given Moscow's plans for massive military exercises on Europe's eastern border this autumn, the expected deployment of U.S. Patriot missile systems to Baltic countries in response, and Russia's move to position Iskander missile batteries in the outpost of Kaliningrad. Trump shifts stance on NATO, says relationship with Russia is "at an all-time low"
"We have some elements look like an atmosphere of cold war," said Peskov, "but I would like to draw your attention to your words; we have our Iskander missiles on our soil in Kaliningrad, and you have American missiles in the territory of Baltics. This is a huge difference. So, it's not Russian missiles in Mexico. 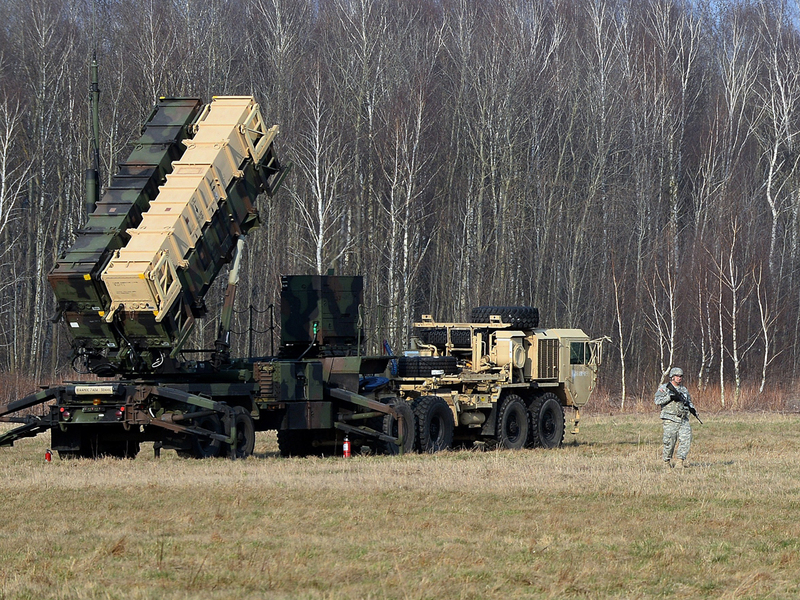 It's American missiles in Baltics." The prospect of U.S. Patriot surface-to-air missile batteries in the Baltics (they aren't there yet), specifically Lithuania, arose Wednesday as Secretary of Defense James Mattis met the leader of that nation and vowed to help defend its border in light of the Russians massing troops and hardware on the other side ahead of the September war games. Asked specifically whether the U.S. would send Patriots if requested by Lithuania, Mattis said the U.S. would "make those decisions in consultation with the Lithuanian government," before insisting that both Russia "and the world knows this is defensive not offensive, and we will only deploy defensive systems to make sure sovereignty is respected." Asked to clarify whether Russia would view U.S. military hardware in Baltic states -- which have expressed serious concerns of a potential Russian invasion in light of Moscow's annexation of Crimea and its ongoing role in the unrest in eastern Ukraine -- as a "provocation," Peskov chose not to use the term when he spoke with Palmer. He said that, in Russia's view, the U.S. bolstering of NATO forces in Eastern Europe is, "not a peaceful approach, not a constructive approach when you're getting your military infrastructure closer to our borders, we feel it as a threat to our security, and we feel ourselves necessary to re-balance the situation and take some counter-measures." Lithuania, like neighbors Estonia and Latvia, have been nervous since the Crimea annexation and have pressed the U.S. and other NATO allies to stand up in their defense. The cries prompted then-President Obama to order the largest U.S. troop deployment to Europe since World War II. There are now about 4,000 American service members, and some tanks, fanning out across seven Eastern European nations, from Poland up to Estonia. "We have waited for you for a very long time," Polish Defense Minister Antoni Macierewicz told U.S. troops as they arrived in his country in Januray. "We waited for decades, sometimes feeling we had been left alone, sometimes almost losing hope, sometimes feeling that we were the only one who protected civilization from aggression that came from the east." Moscow flatly rejects all allegations of aggression "from the east." Peskov reiterated in his interview with CBS News Russia's stance that the Crimea invasion was legal, and that the peninsula adjacent to Ukraine is "our territory and it's not a subject for any bargaining." He told Palmer that the annexation was "performed in strict accordance with international law… it was self-determination." Palmer pressed Peskov harder, noting that even if the people of Crimea did wish to become part of Russia, the annexation was carried out following an illegal invasion of a sovereign state that Moscow refused to acknowledge at the time. "With tactics like that, why should the world believe anything you say?" Palmer asked Putin's spokesman. He insisted the Russian troops that were unofficially deployed to Ukraine were just there, "trying to secure the situation." "So why lie about it?" pressed Palmer. Peskov replied that, at the time and given the circumstances on the ground, it was "quite normal."